November 24, 2008 By John P.
Hey folks, this season there are going to be some serious deals to be had if you’ve got the spare cash to take advantage of them. But don’t run all over town hunting down those damned Black Friday deals! First of all, they never have the item you went for in stock, and secondly… just remember all those lines and whiny people! Instead, prepare by doing your research online, and keep an eye on the following Web sites to see all the hottest deals being offered. The key is to act quickly, because a lot of these deals will disappear quickly. First of all, if you absolutely insist on participating in Black Friday, here are a couple of sites that will show you all of the ads that retailers are putting out. This can at least help you plan your attack, even if you have to get up at 4am to do it. In addition to all of those sites, here are a few to keep an eye out for on Cyber Monday. It’s like these guys are giving free money! Just create an account, pay with it, and get cash! If anyone finds any really killer deals please drop a comment below because I’m always on the lookout myself! Another good site is bargabinbum.com. 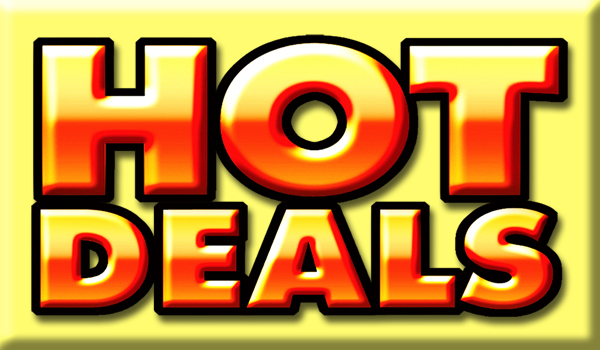 They take a bunch of the deals on other deal sites and aggregate them all together in one place. I’m not taking in part in Black Friday Sales. I’ve been hearing that cyber monday is expected to be a better deal. So I’m looking forward to cyber monday since I find it convenient to buy stuff online. I’ve never been to any of those black friday or cyber monday sites but I do know that dealnews.com and another site called dealio.com are great sites. Technically speaking, I would think that retailers would be slashing prices like crazy to rid themselves of excess inventory. The reason for this is that once they’ve purchased the inventory it’s a sunk cost. Every additional dollar that they sell drops as margin to the bottom line. The opposite would occur if they were required to actually special order something. If they do NOT have it in stock and someone wants them to order it, they will charge extra because the cost of credit is so high now. So, you’re right that there are competing interests, but I think the delineation comes in the form of whether the goods are in stock or not. My wife’s family gets more into black friday than they do Christmas. They get up at 3am and they’re at their first store an hour ahead of time. Fanatics. This year they are already planning on cutting back and being more targeted in their shopping. these are great resources, but i’ll wait for black monday, myself. the activist in me refuses to shop on black friday. that has officially been “buy nothing day” as originated by adbusters (a fantastic group of design and commerce activists) i will definitely look into your monday deals, though — thanks! It’s interesting to me that you think this will be a good holiday season for deals. Many of the deal sites I visit on a regular basis have the inverse opinion, saying this year is likely to be a disappointment. It’s a bit of a catch-22 really, sholuld retailers be trying to make money on margin or on quantity during tough economic times?